We climbers put a lot of trust into the manufacturing and installation of the hardware we use as anchors while climbing. It is your responsibility to know what your clipping into, and understand the signs that could potentially make an anchor less than ideal. 1" 1-1/2" 2" 2-1/2" 3" 3-1/2" 4" 4-1/2" 5" 5-1/2" 6"
These can be of both Stainless and non-Stainless Steel. When SS is paired with non-stainless hangers, galvanic corrosion occures. Rawl/Powers 5 piece expansion bolts are very prevalent in the Red River Gorge and anywhere soft sandstone requires a bit mnore surface area. 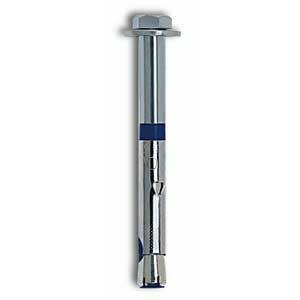 The Wave bolt has made a significant motion to be one of the most used bolts for rebolting. Its made of 316L Stainless Steel, which gives it very good corrosion resistnace for nearly every weather condtion. 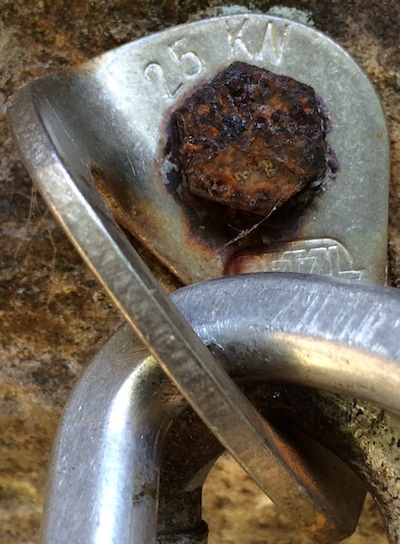 With care, most stud and 5piece mechanical bolts can be removed with minimal damage to the rock, leaving a very good reusable hole for the wave. Of course these require an appropriate expoxy to be installed correctly. They can also be found in stainless and non-stainless. 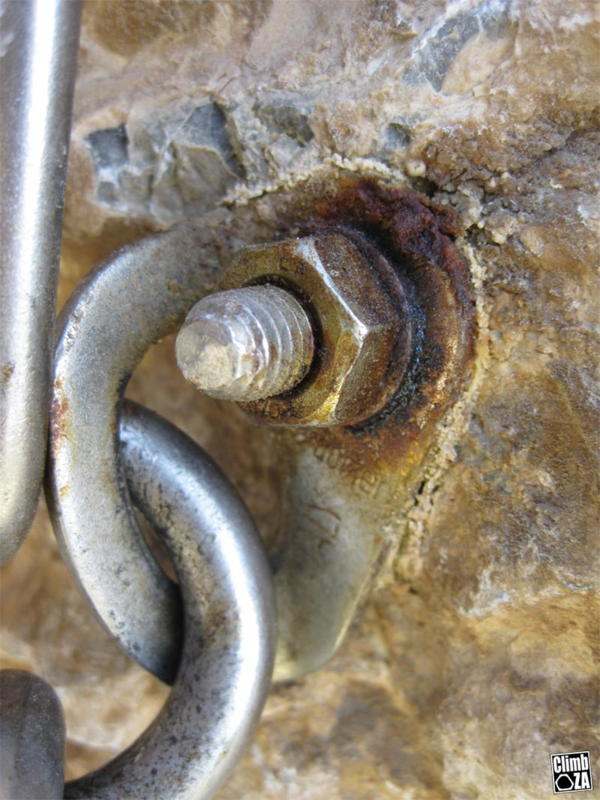 The same galvanic corrosion can occure when mixing metals.